If you have been diagnosed with prostate cancer, you may be thinking about treatment with surgery. If so, you may have heard about robotic prostate surgery. Let's review what that is. Prostate cancer surgery can be done with open technique. In 1999, we introduced a minimally invasive way to do prostate cancer surgery; benefits include less bleeding and pain. Minimally invasive, or laparoscopic, prostate surgery can be done with devices known as "robots," of which there are many. Thus, robotic prostate surgery is a type of minimally invasive surgery. If you are considering prostate surgery, you should not focus on the device. Focus on the surgeon. If you have any questions, please call us at (305)936-0474. We will be happy to answer your questions. 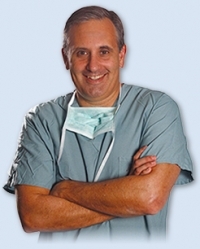 You can click below to hear an interview about robotic prostate surgery. You can also request a free online consultation. Thank you.